Adam and his parents moved from the United Kingdom to America so he could get better healthcare. Adam has heart problems and his arrhythmia is severe. Even regular daily life with all his special adjustments is becoming too strenuous. He needs a new heart and he needs it quickly. Will he get the chance to survive this and to be able to live? Darby is good at getting in trouble. Her twin brother is looking out for her. He's a model son, student and athlete and it's difficult for Darby to keep up. She loves painting, she's great at it and it's her whole world, but she isn't her brother and people keep comparing them. One awful night changes the course of her life forever. That is when she meets Adam and he makes her think about everything she's always believed in. Only is he safe to hang out with? 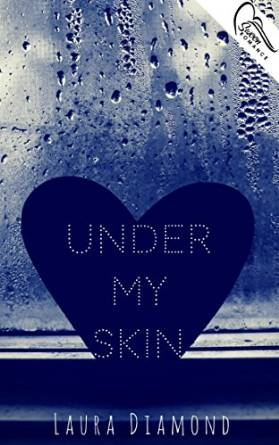 Under My Skin is a beautiful romantic story. Adam has a tough time and can hardly do anything because of his heart problems. Laura Diamond describes his condition with accuracy and compassion. She's perfectly captured what it feels like to be gravely ill. She knows feelings through and through and it shows. 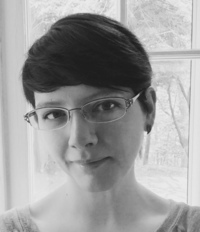 Her book is all about emotions and what happens when things suddenly become too much. I love the way she tells her story and think it's amazing. Under My Skin is a moving book about a difficult topic. The writing has a nice flow which makes it easy to read and that gives the reader more time to process what the story is all about. I think Laura Diamond found the exact right tone of voice for her story. It's sensitive, honest and real. There are plenty of unexpected twists and turns as well. The ending is surprising and gripping and it made my head spin. I think Under My Skin is a fantastic book with impressive main characters. I loved the discription of the book, it sounds like a great read. This sounds like such a great read. Thanks for the chance, sounds like a good one for romance fans. I haven't read a good romance book in awhile - this one sounds interesting. Thanks for the giveaway! Sounds intriguing. Love the cover too. I like the background of the character as its unusual. Sounds really interesting, I'm already intrigued about the story. And love the cover! Interesting possibility, will have to source & give it a read!